Danish Vintage large "BUNKER"lights - bright yellow, great condition. 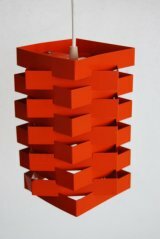 Designed by Jo Hammerborg and Made by Fog & Mørup. We have 3 available all in amazing condition. Designed in the 1960es. 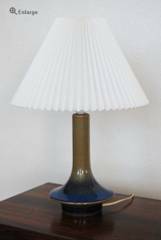 Danish Vintage Ceramics table lamp. 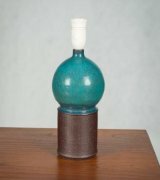 Danish midcentury ceramics table lamp. 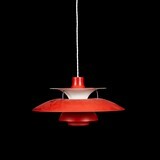 Danish Vintage pendants - Opaline glass pendants by Louis Poulsen, also know as " The Bell Light"
Le Klint Model 101. "Frugtlygten"designed by Kaare Klint in 1944. Black and copper coloured chrome. Danish Vintage Teak Le Klint Scissor wall light. 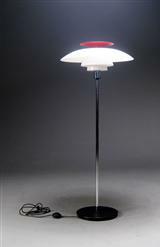 Designed by Poul Henningsen - white and in perfect condition. Design by Fabricius & Kastholm in 1963. It is massive and absolutely wonderful. It has however a few small imperfections - priced accordingly. Danish Vintage Pendant - orange metal in great condition. 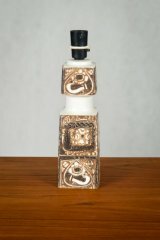 Danish Vintage table lamp - ceramics by Søholm. Gorgeous colours and lovely shape. 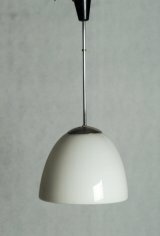 Danish vintage light - this pendant was made by Fog and Mørup. Chrome and plastic. Good condition. $650 - reduced to sell as it is not in perfect condition. 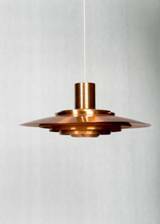 Louis Poulsen Danish Vintage Copper PH outdoor light. PH 4.5/3 , 45cm diameter. 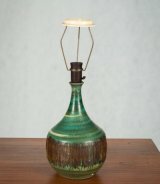 We now have 4 of these lights available with gorgeous patina. White opal Acrylic shades, chrome and black acrylic base. 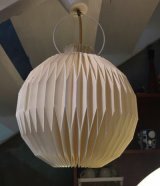 Made by Louis Poulsen H.133cm. 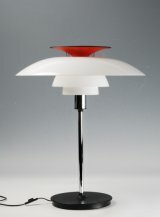 PH5 pendant – designed 1958.